The NEXTFLEX® Poly(A) Beads provide a convenient method for batch purification of pure, intact mRNA upstream of RNA-Seq library preparation. Magnetic beads conjugated to oligo(dT) are utilized to isolate polyadenylated messenger RNAs from 10 ng – 10 µg of total RNA. Separation using a magnetic stand allows for high mRNA recovery. The intact mRNA is eluted in small volumes eliminating the need for precipitation. Ease of use and consistent results makes the NEXTFLEX® Poly(A) Beads ideal for RNA library preparation applications. 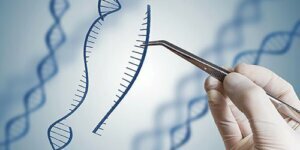 Several approaches have been used to remove ribosomal RNA (rRNA) from total RNA samples that will be used to produce libraries for NGS RNA-Seq experiments. Removal of rRNA avoids the waste of reagents and bioinformatic resources to sequence and align the ~85% of total RNA comprised of rRNA, which is generally not a target of interest in NGS sequencing experiments. PerkinElmer’s NEXTFLEX® Poly(A) Beads are an easy and cost-effective method for removing rRNA in RNA-Seq libraries. This product takes advantage of the tract of adenosine residues present at the 3’ ends of the vast majority of protein-coding mRNAs. Hybridization of these poly(A) tails to tracts of complementary thymidines (“oligo dT”) immobilized on solid supports allows the retrieval of poly(A)+ RNAs by recovering the solid support along with the hybridized RNA complexes. Libraries were made from RNA extracted from two human cell lines, the A549 lung cancer line and the 293f kidney carcinoma cell line. 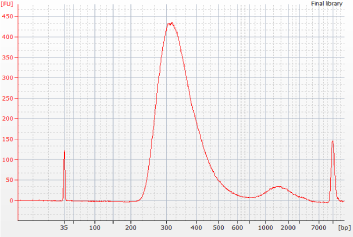 Total RNA was isolated using BiooPure™ RNA Extraction Reagent (PerkinElmer) and RNA concentration was determined by Nanodrop analysis of UV absorbance. Some of the RNA samples were processed to select polyadenylated transcripts as described below. Prior to poly A selection, 1 µL of a 1:10 dilution of ERCC controls (precisely quantified synthetic polyadenylated transcripts that do not share sequence homology with human sequences) was added to the RNA samples. Use of the ERCC control RNAs allowed assessment of the extent to which the relative levels of the different ERCC control transcripts observed in the RNA-Seq results correlated with the known relative levels of the ERCC transcripts in the control mixture. Triplicate barcoded strand-specific, directional RNA-Seq libraries were made using NEXTFLEX® Poly(A) Bead selected input RNA and sequenced on the Illumina® HiSeq® platform. The libraries were made with indexing adapters (“barcodes”) to allow them to be pooled for multiplex sequencing. Poly(A) selection was carried out using 5 µg of input total RNA and two rounds of selection with various amounts of PerkinElmer’s NEXTFLEX® Poly(A) Beads (20 µL, 50 µL , 100 µL ). The RNA-Seq libraries from NEXTFLEX® Poly(A) Bead selected input RNA and total RNA were produced from 35 ng input RNA using the NEXTFLEX® Rapid Directional RNA-Seq Kit. The input RNA was chemically fragmented to an average size of 300 bases using the reagents and protocol included in the kit. Libraries were amplified using 12 cycles of PCR. Yields and size distribution of libraries were assessed on an Agilent® Bioanalyzer®. Equal amounts of the barcoded libraries were pooled prior to sequencing and sequenced in a single flow cell on an Illumina® HiSeq® instrument. After applying standard quality filters, results were analyzed to determine the extent of residual rRNA contamination in each library. Analysis was also carried out to determine the relative levels of ERCC controls and of reads mapping to different categories of endogenous transcripts. The yields of poly(A)+ RNA ranged from ~50 ng – 80 ng, corresponding to ~1%-2% recovery. These values are in good agreement with accepted values for the proportion of total RNA that is comprised of mRNA. Representative results from Bioanalyzer® analysis of the libraries made using poly(A)-selected RNA are shown in Fig 1 below. The Bioanalyzer® data showed high yields and narrow size distribution of the products, consistent with high-quality RNA libraries. Figure 1. Directional RNA-Seq library from RNA selected using 20 µL of NEXTFLEX® Poly(A) Beads. The concentration of the library was 80 nM. 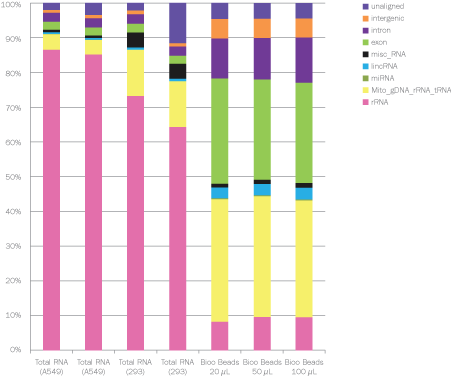 Table 1 shows the extent of rRNA contamination in the libraries prepared from total RNA and the dramatic reduction in contaminating rRNA in the NEXTFLEX® Poly(A) Bead selected samples. Figure 2. 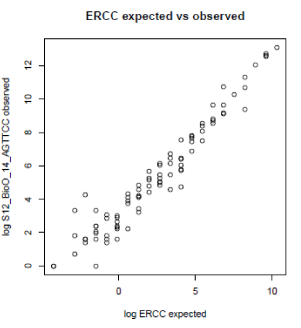 Correlation between expected and observed values for percentage of reads mapping to 94 ERCC control RNAs in RNA-Seq library made using 20 µL of NEXTFLEX® Poly(A) Beads. Figure 3. Percentage of reads mapping to rRNA regions of interest with and without Poly(A) bead selection. PerkinElmer’s NEXTFLEX® Poly(A) Beads are an effective method to eliminate most sequencing reads that map to ribosomal RNA while retaining faithful representation of relative levels of polyadenylated RNAs. When total RNA was used as input for library construction, the vast majority of reads mapped to rRNA, whereas only a small percentage of reads mapped to rRNA in the libraries made using RNA selected using NEXTFLEX® Poly(A) Beads. The reduction in reads mapping to rRNA in the libraries prepared using NEXTFLEX® Poly(A) Bead selection is associated with a corresponding increase in reads mapping to exons and other categories of interest. Analysis of observed reads mapping to the various ERCC control RNAs, compared to the known relative levels of these RNAs that were spiked into the sample prior to poly(A) selection, demonstrates excellent correlation over a wide range of abundance of the different synthetic transcripts. The NEXTFLEX® Poly(A) Beads used in conjunction with the NEXTFLEX® Rapid Directional RNA-Seq Kit provide a straightforward workflow for generating high-quality RNA-Seq data, facilitating the discovery of new biological relationships that are reflected by global analysis of complex transcriptomes. Fang, X., et al. (2016) Knockdown of DNA methyltransferase 3a alters gene expression and inhibits function of embryonic cardiomyocytes. FASEB. doi: 10.1096/fj.201600346R. Takahashi, J. S. et al. (2014) ChIP-seq and RNA-seq Methods to Study Circadian Control of Transcription in Mammals. Methods in Enzymology. doi:10.1016/bs.mie.2014.10.059. Tan, M. H., et al. (2015) First comprehensive multi-tissue transcriptome of Cherax quadricarinatus (Decapoda: Parastacidae) reveals unexpected diversity of endogenous cellulose. Organisms Diversity & Evolution. Pg 1 – 16. Doi: 10.1007/s13127-015-0237-3. The NEXTFLEX® Poly(A) Beads contains enough material to extract mRNA from 8, 48 or 100 total RNA samples for subsequent use with RNA-seq library prep. The shelf life of all reagents is 12 months when stored properly. All components can safely be stored at 4°C.